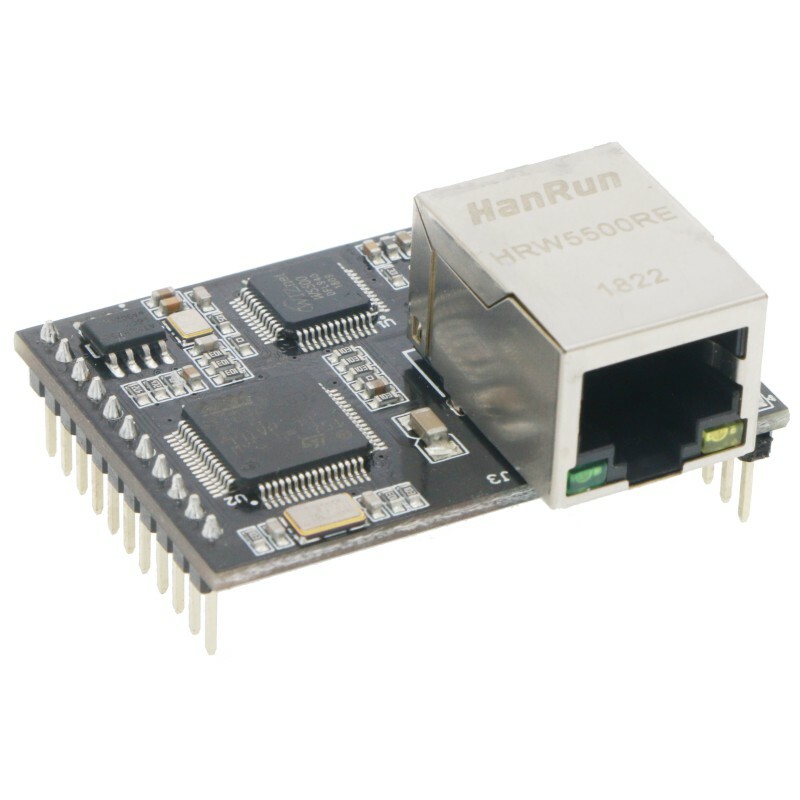 W5500S2E-R1 is an industrial grade serial to Ethernet module. It supports TCP server, TCP client and UDP three operating modes. The maximum serial baud rate is 1.152Mbps. W5500S2E-R1 supports WIZS2E ConfigTool (Configuration Tool for Windows®), web page configuration and AT command to configure the module. 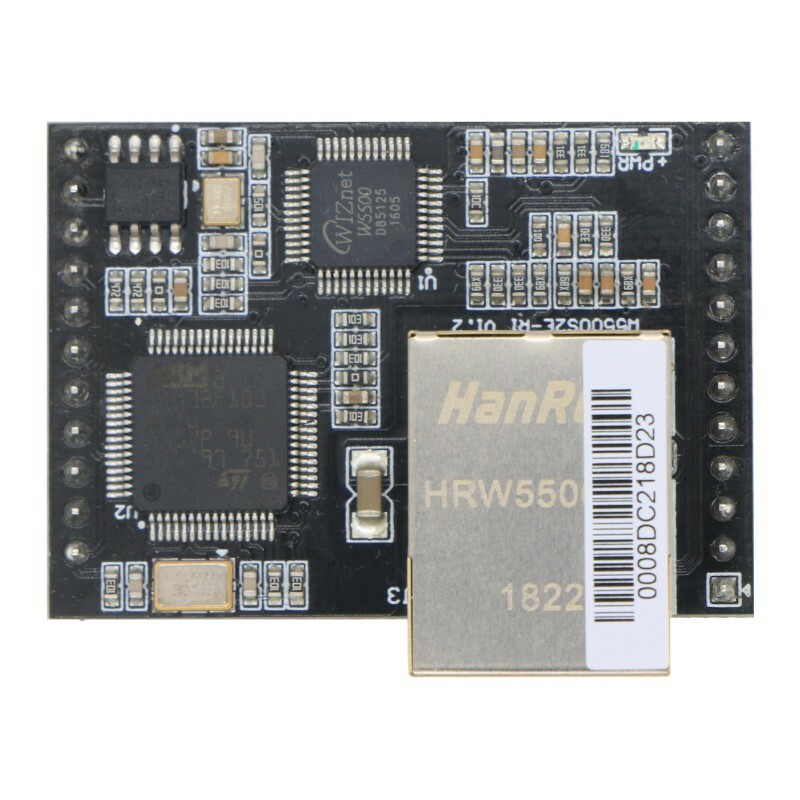 W5500S2E-R1 uses the hardwired TCP/IP protocol Ethernet chip W5500. This enable a faster, stable and secure Ethernet connectivity. With reference schematic(s) and guideline(s) in this user manual, it could be greatly reduced the time and difficulty of the hardware design and development when comparing with other approaches. 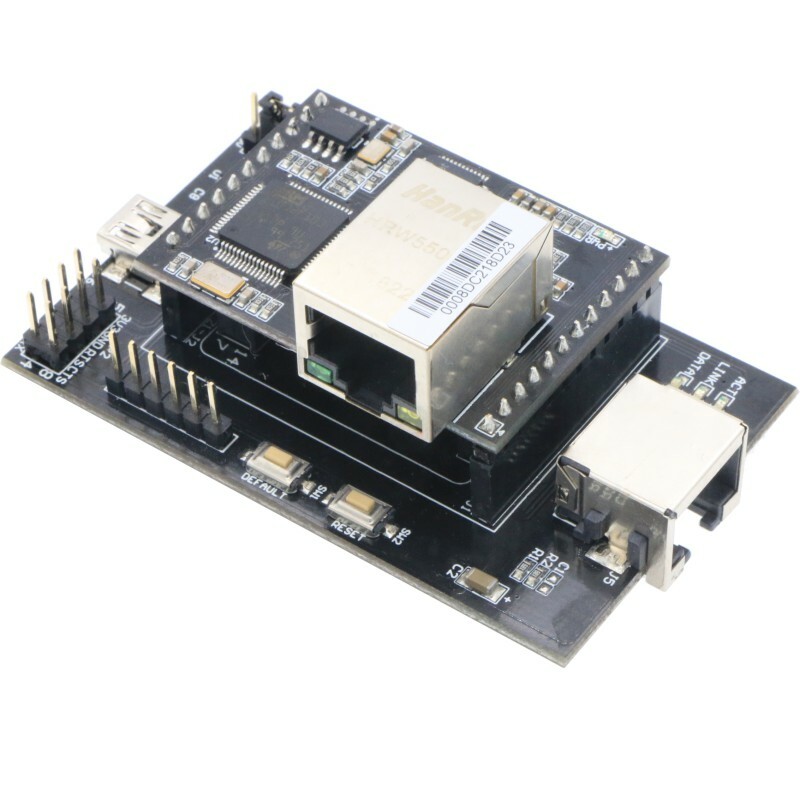 W5500S2E-R1 provides three types configuration methods for user to operate with the module. Web page configuration allows user locally or remotely to configure the module through web browser. AT command configuration support sending serial commands from the mainboard of the embedded device or from the serial terminal to configure the parameters of WIZS2E modules.